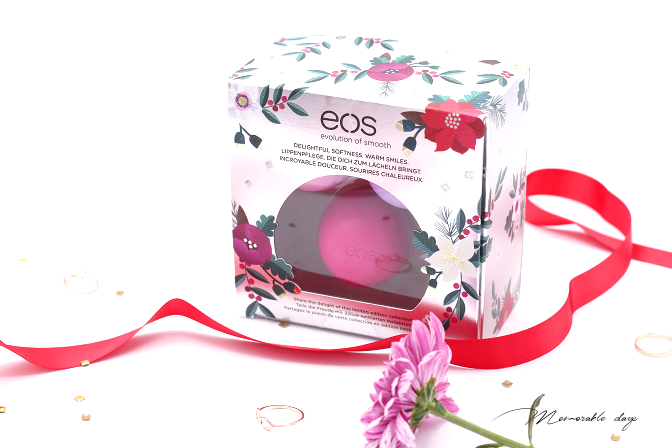 EOS Lip Balm Holiday 2016 Limited Edition | Memorable Days : Beauty Blog - Korean Beauty, European, American Product Reviews. 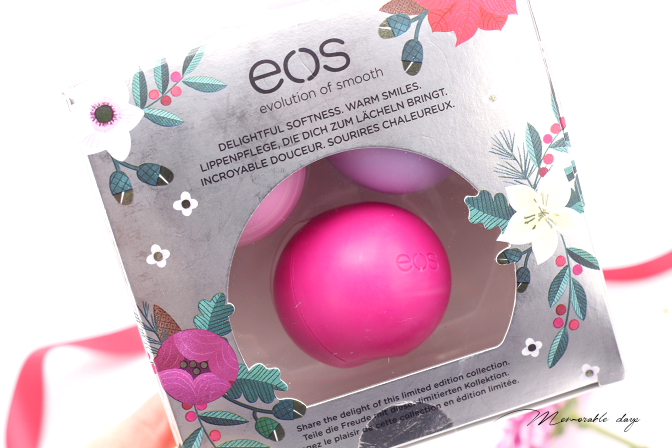 We all know EOS because of their adorable lip balms. They released a limited edition for this year for the holidays. Great as a Christmas gift, I am sure everybody would love this, I mean, who doesn't use lip balms right? We need to keep our lips moist whenever! I will show you the holiday pack in today's blogpost. 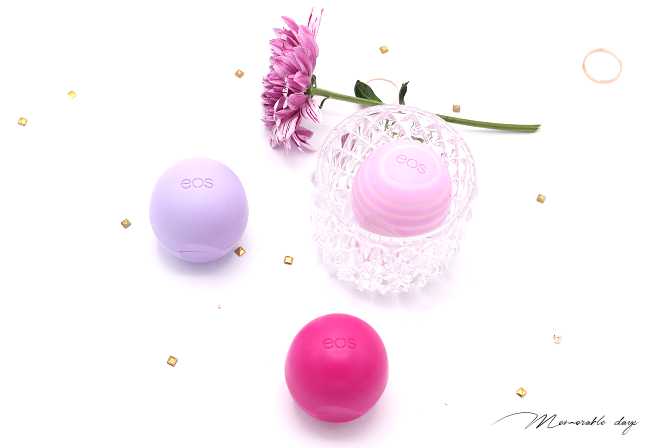 This pack consists 3 EOS lip balms: Wildberry (fuchsia), Passion Fruit (light purple) and Honey Apple (light pink/white). 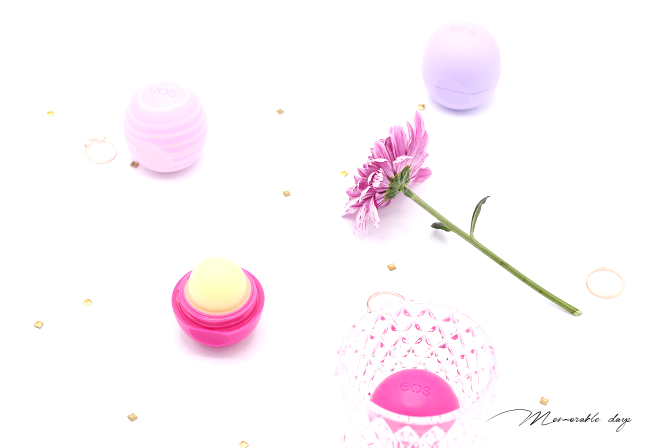 These lip balms are 95% organic and 100% natural. Packed with antioxidant-rich vitamin E & C, shea butter and jojoba oil. 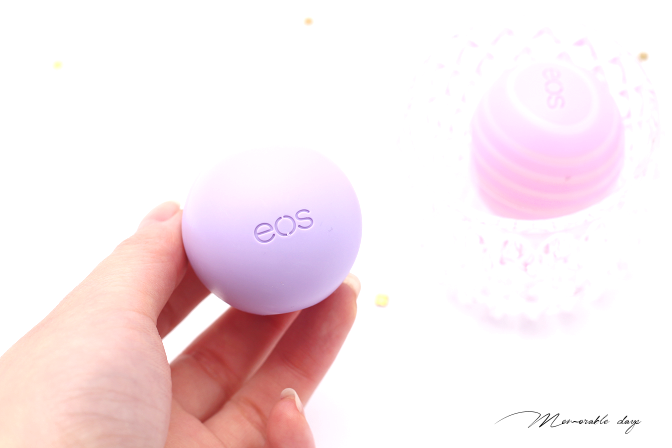 It keeps your lips moist and soft, just with one swipe, that's what I absolutely love about their design. It is gluten, paraben, petrolatum and phthalate free. If you are interested in the ingredient list, you can check it out here. One lip balm last for an extremely long time, mine lasted even a year even though I used it every single day multiple times. I absolutely love them! 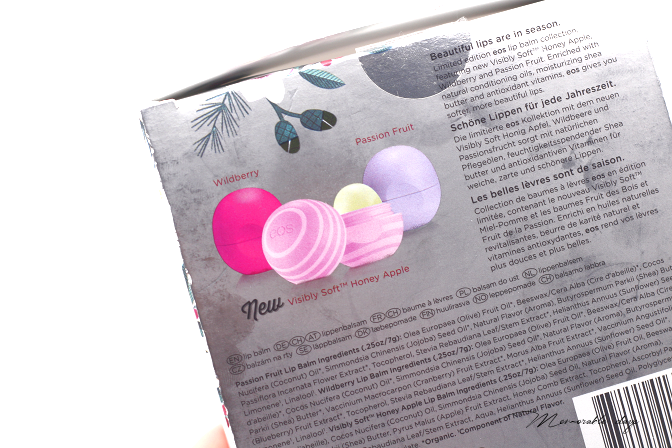 All of the lip balms are moist to me, the only difference is the scent as well as the packaging. This little baby really smells like honey apple. The green apple. It has a very sweet smell which might be a bit overwhelming to some, but you will get used to it. 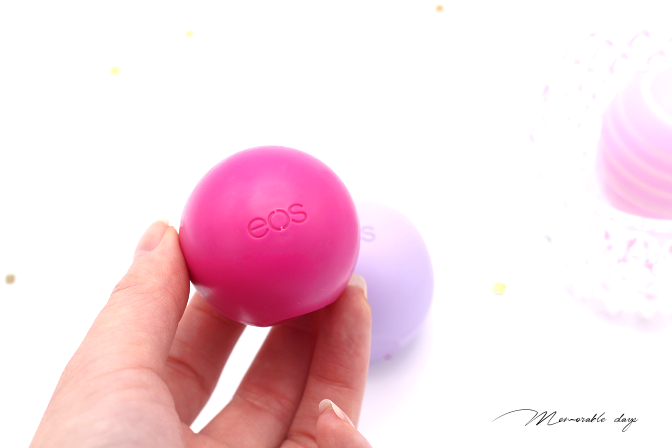 Once you swipe this on the lips you want to keep swiping it since it smells so sweet and lovely. I can definitely smell the berry, not too overwhelming but it's more subtle. This also has a sweet fruity scent to it, which can be a bit overwhelming to some. It smells a bit like bubblegum to me. It is a cute holiday set, I do wish it was more Christmas-sy like in packaging and scent wise but that doesn't mean I don't like these. These are lovely! 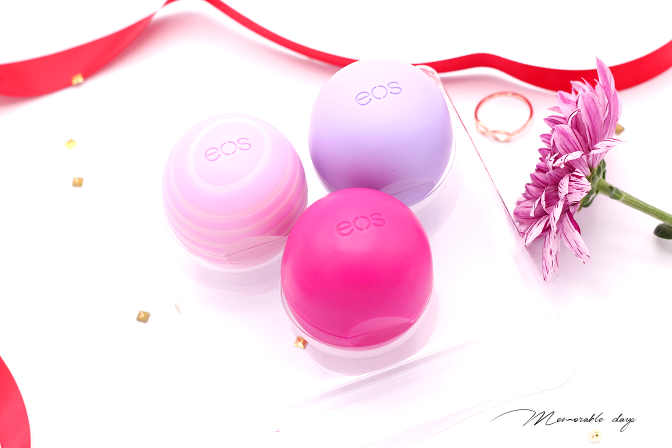 If you love sweet scents, these lip balms are definitely something you would like. 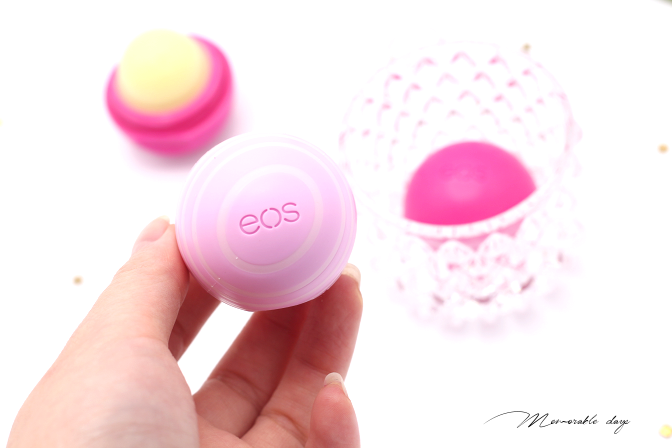 It keeps your lips moist just with one swipe! In The Netherlands you are able to purchase EOS at Douglas.nl. You are also able to purchase it on their website for USD$8.99.